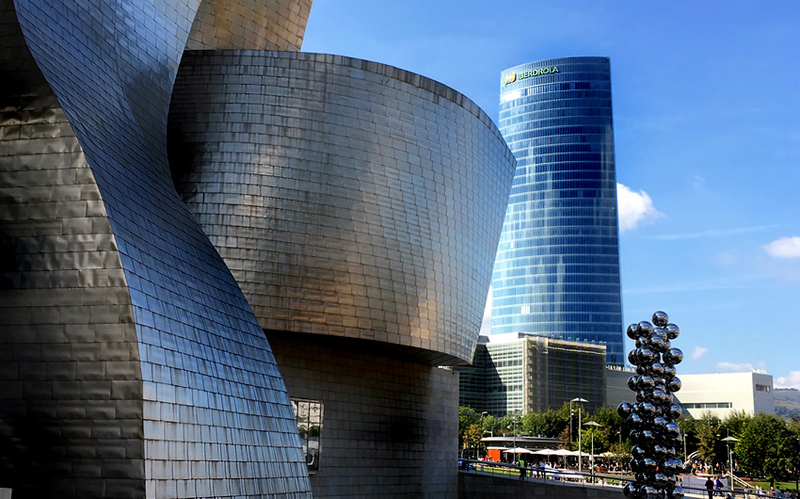 Our starting point of Bilbao Airport allows for 2 irresistibly easy options for extending your visit to the Basque Country by spending a few days in Bilbao itself or in San Sebastian. Why not make good use of your flights to explore one of Spain’s two most lovely cities? If you’re booking flights with BA it’s well worth checking booking a hotel with them too- they sometimes have great deals with top hotels like the Reina Cristina in San Sebastian. 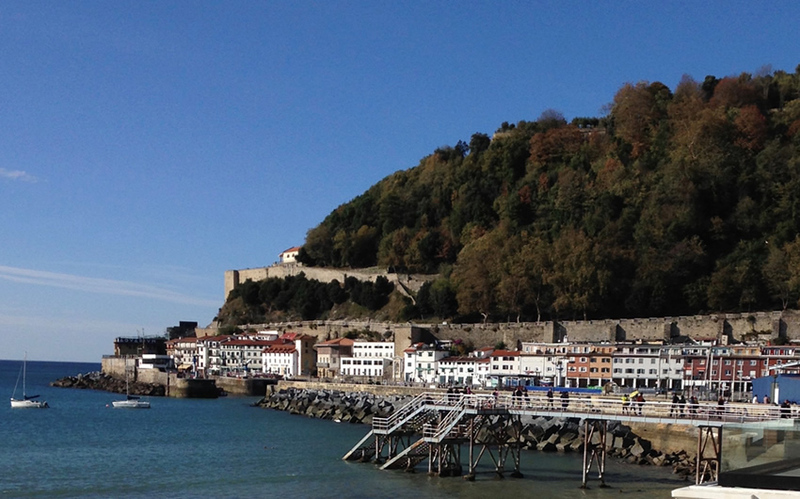 The Basque country’s capital is a busy, vibrant, working city, bisected by rivers and bridges and close to the coast. 2 or 3 nights here will give you time to appreciate it. While it is pretty hilly – and steeply so in places -most of it easily covered on foot by following wide paved paths alongside the rivers. Indeed, the nicest way to get to the Guggenheim is to do just that. As you approach the museum on the riverside, every few yards affords a new and captivating view. The building’s metallic tiles pick up and reflect light, clouds and reflections from the moat that surrounds that side, so it’s constantly changing. Approaching it from the town side brings you right up to the Jeff Koons Puppy outside the main entrance. It’s just as surprising inside with the extraordinary twists and turns of architecture as entrancing as the exhibits themselves. Remember the Guggenheim is closed on Mondays in your planning! Bilbao also has an elegant central shopping area with wide, tree-lined streets, plenty of green space around and stylish versions of all the major Spanish stores. Head to Calle de la Diputacion for two of the best bars in Bilbao. Bar El Globo – small, beloved by the locals, with the best array of Pinxtos you’ll find, a fantastic choice of wines by the glass and equally lovely staff. La Vina del Ensanche – opposite El Globo. Always mobbed by the locals, it does some great pinxtos but the real deal here is to put your name down for a tiny table in the bar and order from the short menu of dishes cooked to order. The food here is sublime - the best Ox Cheeks and mash (more like a massively enriched potato puree) I’ve ever eaten. 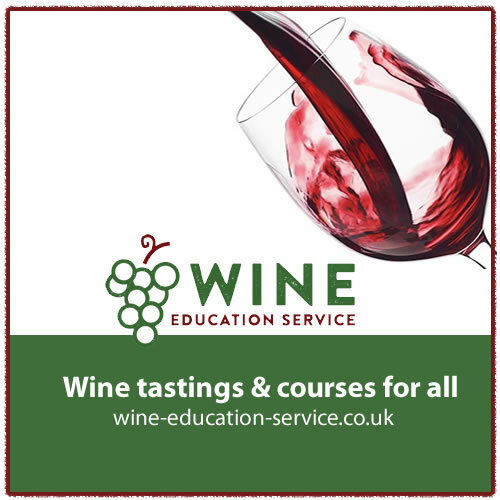 The Wine List is terrific and great value too and includes some very nice halves. Café Iruna A bit of a tourist haunt, but well worth a visit for the gorgeous interior of Andalucian mosaics and the tasty Moroccan lamb kebabs cooked to order by a solitary chef in the corner (2.50 euros each). Good Pinxtos and wines by the glass - and usefully open 7 days a week. Foodies will enjoy a look around the market -Mercado de la Ribera –Europe’s largest covered indoor market, used by professionals and locals alike and with a separate area filled with bars –it’s a great place for breakfast or a drink and tapa. Lastly – don’t miss very best views of the city (assuming the weather is obliging) are to be had by taking the funicular railway from the opposite side of the river from the Guggenheim –it’s quite an experience! Easily reached by a coach service which departs every half hour from outside Bilbao Airport terminal, buy your tickets (17 euros) on the coach –in a little over an hour you will be in San Sebastian Bus station. Depending on where you’re staying, you can walk up to the old town (10 to 15 minutes) or there’s a taxi rank. You won’t need a car here. Parking is expensive and taxis are reasonable. San Sebastian is picturesque and much smaller. Visiting here really makes me feel I’m on holiday -it’s very much a place that you come to for fun, food and relaxation. It ‘s right on the coast and boasts 3 lovely sandy beaches – La Concha, the biggest shell shaped bay around which much of this city lies, Zurriola to the east (home to windsurfers) and Ondarreta to the west (home to naturists). For a lovely early morning walk follow the path around the headland skirting the old town – the Atlantic is just the other side of the wall – it brings you round to the old port area and the old town ready to do justice to breakfast. Of course, the city is famous for having what is possibly the densest concentration of Michelin starred restaurants per capita on the planet. If this is your bag, then you’ll need to book the chosen restaurant before anything else.…. But the whole city, and in particular the old town, is stuffed with wonderful tapas bars offering exceptionally good value food in an exuberantly unstuffy atmosphere. It’s as though the entire city eats and breathes food –and of course good wine too. 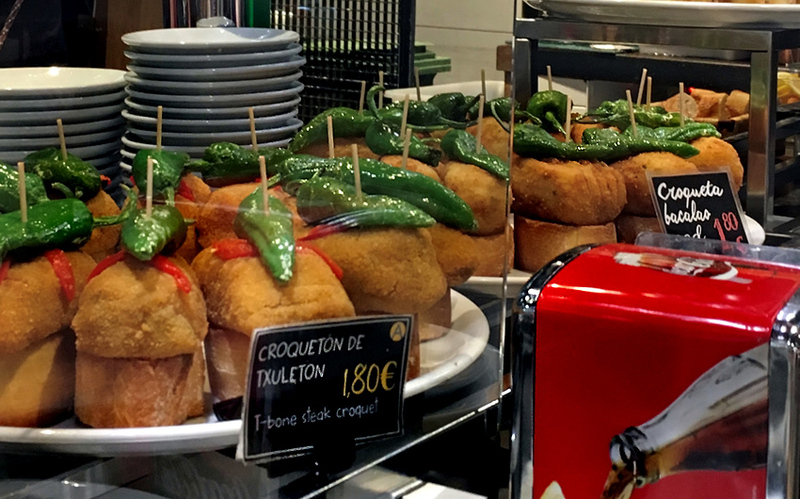 There is no more cordial place to eat in Spain, as locals and visitors mingle happily over great food. Nestor – famous for the Chuleton (a rib of beef to be shared), great cured meats and tomato salad and Tortilla made every day for 2pm – you put your name down for a slice! Ganadarias – always busy, always good, traditional tapas and pintxos – watching the staff in action is pure theatre. This is one of Spain’s prettiest cities and it’s small enough to explore on foot. Wherever you stroll you’ll find a nice bar to stop at and soak up the atmosphere and the traditional Basque architecture. The central shopping area is much smaller than in Bilbao, but you will still find most of the good Spanish stores here. 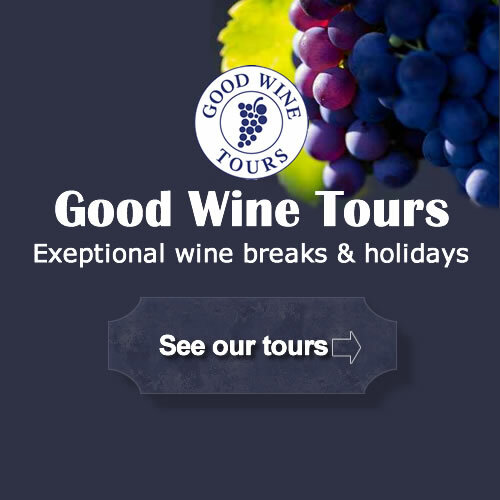 For details of our popular Rioja Wine Tour click here.